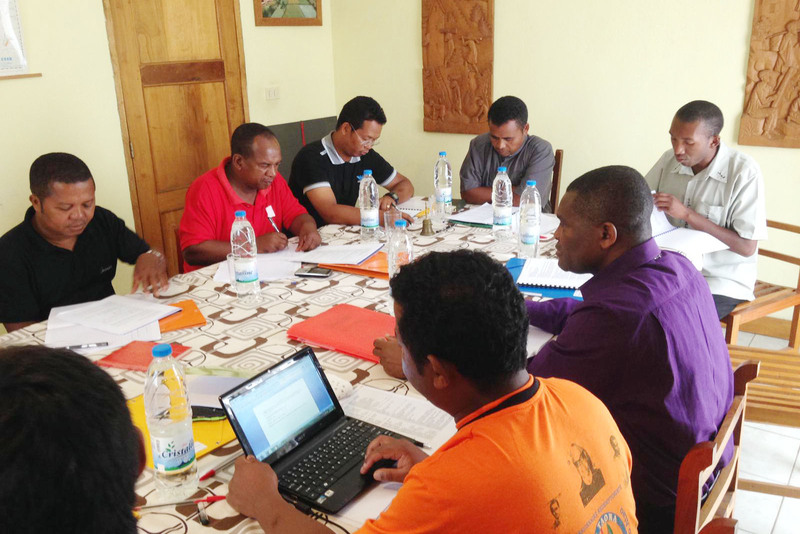 (Madagascar) The vice-province of Malagasy had its first Chapter from 8th to 12th January this year. 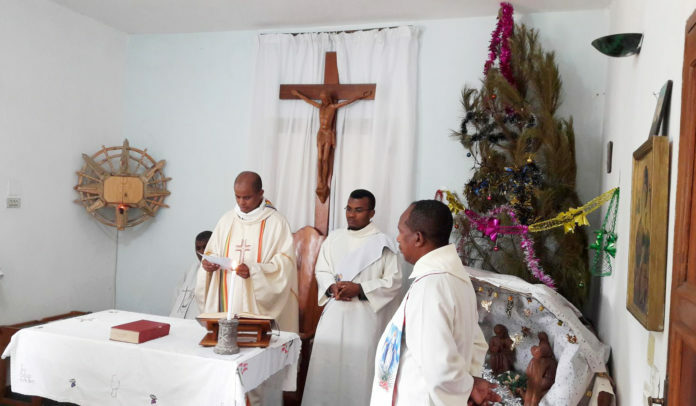 The chapter began with a solemn Holy Eucharist concelebrated by confreres in the chapel of the Scholasticate in Mandroseza – Antananarivo. 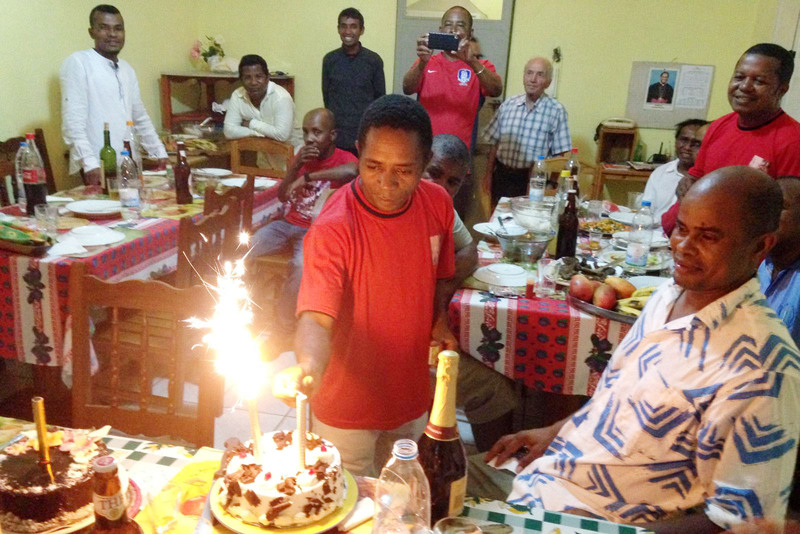 With good reason the Provincial, Serafino Fiore declared it as a historic moment full of sad and joyful events, which became the “Mission” and then the “Region”of Redemptorist Malgasy (16 March 2005), in the limelight, being for many years a small and poor “Cinderella” barefoot, in the middle of the Indian Ocean. 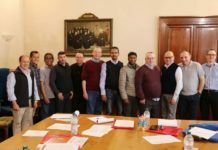 Yes, I repeat, after 51 years of presence of the Sons of St. Alphonsus Maria de Liguori, there has been a slow and fruitful evolution, passing from the status of the child to that of an adult, autonomous and responsible for his future. Before entering the Chapter, behind closed doors, like a small “Conclave”, the Vice-Province had celebrated with great solemnity from the North (Vohemar) to the Center (Antananarivo) and the South (Vondrozo) the 50 years of the arrival of the first Redemptorists of the Neapolitan Province (Frs. Luigi Pentangelo and Vincenzo Sparavigna) in the immense Red Island. 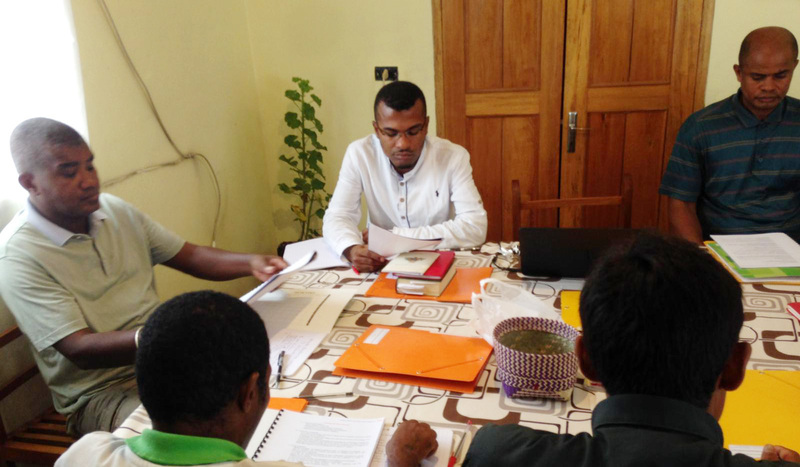 On the 8th, therefore, after the opening Mass, the 12 Capitulars with the invited Father Luyila Ndongala Zéphirin, president of the Africa – Madagascar Conference, filled with the Holy Spirit, almost on tiptoe, enter the chapter room to begin the first day of work; while the translator of the Capitulars remained outside the door, in the wings, to translate the texts written in the French language adopted by the chapter, in Italian so that the General and Provincial Government could have a clear idea on what was discussed and approved or even postponed to a next chapter. 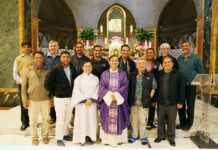 In spite of the intense work, the prayer accompanied the Capitulars from morning to night with the recital of Lauds, of the Ora Media, of Vespers and of the Eucharist. There were moments of recreational breaks with snacks, drinks, fruit juices, coffee and herbal tea too. 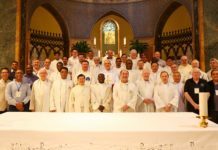 The closing took place on Saturday 12th at 18:30 with a solemn Mass sung in which all the confreres of the “Foyer” and of the “Maison” Saint Alphonse participated.